Worldwide production by U.S.-based upstream public companies is set to increase by seven per cent in 2018, based on the latest guidance. This is according to Evaluate Energy’s new North American guidance database, which holds guidance data for production, capex budgets and drilling plans for all U.S. and Canadian publicly listed companies. Click here for more on the data available. So far, 80 public companies based in the U.S. have reported production guidance for 2018. Of that number, 58 companies expect volumes to grow year-over-year. The combined total is currently expected to reach 12.7 million boe/d – a significant uptick over 2017’s actual production of 11.8 million boe/d for the same group of companies. In June, 20 of these 80 U.S.-based producers provided an update on their production guidance for 2018, accounting for 285,000 boe/d (32%) of the expected uptick. 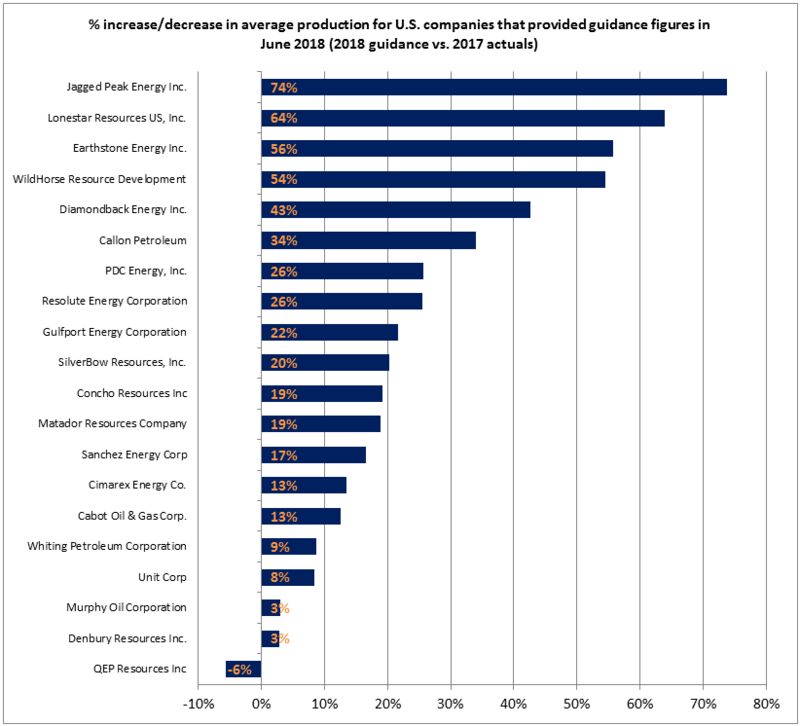 19 of the 20 companies to provide new, updated or reaffirmed guidance for 2018 production expect to record an increase in output during 2018, compared to reported full-year averages in 2017. The largest of these 19 increases was 74%, reported by Jagged Peak Energy Inc. Jagged Peak is a Permian-focused producer in the Delaware Basin. The company expects to see production average around 29,500 boe/d in 2018 on the back of a robust capital spending plan that includes a drilling and completion budget of between US$540-590 million and between 48-55 new gross wells brought online this year. The only company of the 20 that expects a drop in production in 2018 is QEP Resources Inc. QEP’s latest guidance is just over 137,000 boe/d, a six per cent fall on the 146,000 boe/d recorded by the company in 2017. This drop is mainly due to the US$777.5 million sale of producing assets in Wyoming in September last year. 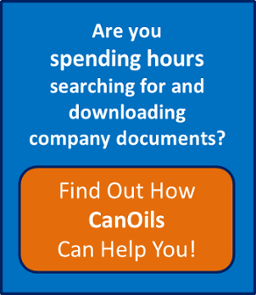 Evaluate Energy and CanOils now provide all upstream guidance for public companies across North America as part of the new guidance product. For a full demonstration click here.